About Me...Where Do I Begin? In April, I participated in a trip to Zambia, a nation in Southern Africa. I traveled with a group of nine – four men and five women. In advance of the trip, we were instructed on culturally-appropriate social behavior. The expectations for men and women were vastly different. We were told that women must wear skirts at all times in public. Shoulders must be covered. When shaking the hand of a man her age or older, a woman must grip her own forearm, bow her head and bend her knees in a curtsy to show respect. We practiced this move on each other, finding it mildly amusing, maybe patronizing, and more than a little bit sexist. But we knew we would do it because it was not our place to judge. We were to be guests in their homes, and when in Rome…yeah. So we curtsied, over and over. Most shockingly, in the moment, in that time and place, it ceased to be amusing, patronizing or sexist. It simply was. 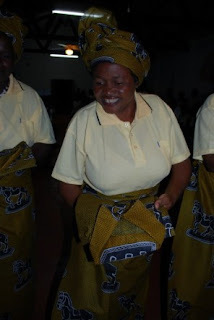 And especially watching the Zambian women move through their world, we American women realized that things may not always be as they seem from afar. When we look across the oceans at the lives they lead, we’re looking through the lens of our own history, our own lives, our own brand of feminism. None of those things leave as much room for interpretation as they should. I expected that I would observe timidity and deference among the Zambian women. Instead, they showed me what it means to be confident in your role and place in the world. I expected that always wearing skirts might make them feel stifled, but they moved so freely you would never know it wasn’t necessarily their choice of garment. I never doubted that Zambian women would be strong, but I didn’t expect that strength to be so visible and unapologetic. Even though they bow before their men, they are anything but powerless. The expectations of men and women both at home and abroad can be mindblowing at times. I had mixed feelings when I was in Indonesia and India and I would be treated like an "honorary male." It was subtle, such as when I was encouraged to eat meals with men before other women at parties, which marked me as a foreigner with privileges. At the same time, I was willing to wear a jilbab (Indonesian for headdress) at my friend's Muslim school in Jakarta during a Ramadan-related event. It makes you think about diverse circumstances of women all over the world...we cannot view them all through a "black and white" lens. Great post Kekla! Keep up the good blog writing!